San Francisco needs to be experienced to be fully appreciated. It’s a cosmopolitan wonder, with excellent weather and a strong lean toward natural and aesthetic beauty. Not going to lie, I’m a fan. The City (as the locals call it … do yourself a favor and never say "Frisco") is a hub for intelligent people and original thought. 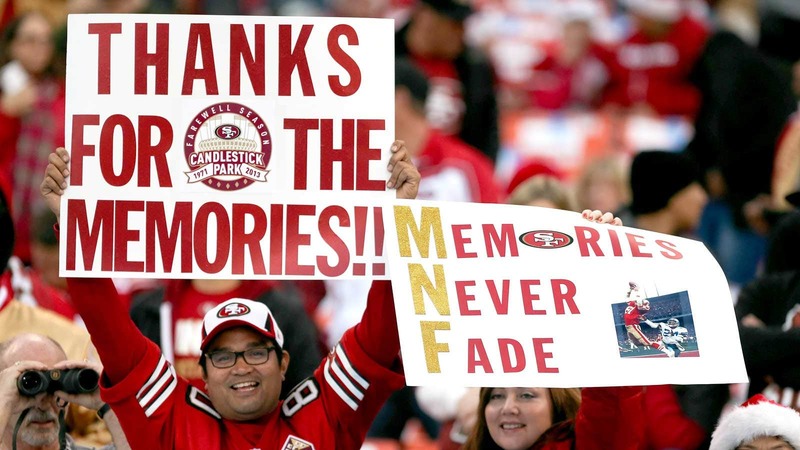 However, not much of that was on display on Monday night at Candlestick Park. The 49ers are playing their final regular-season game in the famed stadium as they will move into a brand new facility next season. 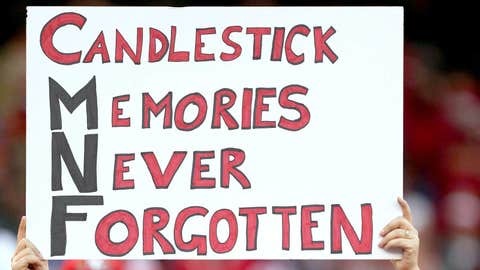 The fans came out in droves to pay their final respects to a place they called home for decades. What better way to do that than make some signs? Hey, here are some more signs! Wait, there’s another "memories never fade" sign? I guess great minds think alike. Are there any other signs out there? Oh, found one! Well, that’s kind of different, right? One word can make a huge difference. Wait! I get it now! They’re using the "MNF" to spell out words. In case you didn’t know, that’s called an "acrostic"